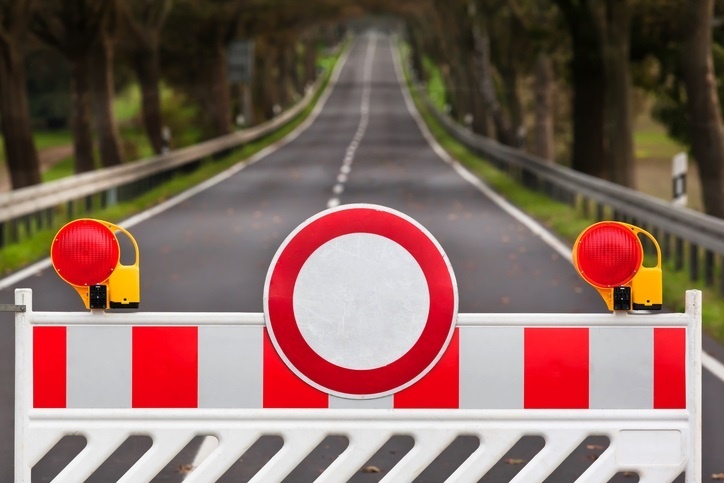 Lisa Rangel, a professional career coach and resume writer, shares strategies to overcome 3 distinct career roadblocks that senior IT professionals can face. An executive job search, while extremely rewarding in the end, can be a long arduous process. After years of success and progressive achievement, it can be humbling for an accomplished CIO or CTO to be competing alongside so many accomplished peers for what is a naturally limited supply of positions at, or near, the top of the IT organization. When veteran IT executives experience a job search setback, they often suspect that ageism is to blame. Or perhaps their long list of skills and hard-won achievements lead certain hiring managers to believe that, as candidates, they are actually overqualified; or that their skillset is outdated. While these three terms are similar, they are not the same thing. If you are in the job market for a technology leadeship position, knowing the difference can help you avoid or overcome these potential objections. Outdated is a legitimate reason to not get hired, but it is also something that you have total control over changing. Overqualified is possibly a legitimate reason for not being hired, for which you can devise a strategy to overcome. Ageism is illegal for companies to engage in. Since you cannot control how people act, you have limited control over this. Dictionary.com definition: no longer in use or fashionable; out-of-date; outmoded; antiquated. Being outdated means your experience shows you are using an antiquated technology or your skills are not current, and therefore less in demand. For example, I recently had a job seeker client explain to me he was experiencing ageism for technology jobs. So, I took a look at his background. He had spent more than 10 of his 22 years of work experience as a help desk technician for a company in a dying industry. His inability to get hired was not due to ageism. It was because he hadn’t keep his skills current and was now experiencing the consequences of neglecting his professional development. Additionally, having an outdated resume presentation, online presence or physical presentation can affect how someone perceives you. It's called a first impression. I am not saying everyone needs to look like a model or consider dyeing their hair. But if you are wearing suits from the dot-com era (God bless you if you can still fit in them! ), or editing a resume that you started from a template provided by your college career center 23 years ago, or you refuse to create and maintain a decent LinkedIn presence, your job search will suffer. And it's not ageism...it's being or appearing to be outdated. And you can fix it. THE FIX: Update your resume. Bring your LinkedIn Profile up to date. Have classic, but contemporary attire to wear to interviews. Use progressive job search techniques. Dictionary.com definition: having more education, training, or experience than is required for a job or position. Being overqualified still means you can do the work at hand. There are no one disputes that, unless your skills and practices, or the industry in which you use them, are outdated. A CFO applying for an accounting manager job certainly has the qualifications, but candidates always need to acknowledge employers’ real concern that you may not be happy in a reduced responsibility position, and will therefore quit after a few months. It is a legitimate concern, and candidates that are dismissive of it won't move further in the process. However, candidates who prepare for this line of questioning and are able to address the overqualification concern have a stronger chance of moving forward in the process and eventually receiving an offer. Being denied for a job due to having too much education or experience is not ageism. Don't victimize yourself this way by labeling it so. Instead, take steps to address it in your interview prep process. THE FIX: Be prepared for the “overqualified question.” Don’t avoid it and cross your fingers in hope that the interviewer won’t ask. For example, if you have managed overqualified people during your career, you can be prepared to empathize with the concern. You can explain how you have been lucky to have hired and managed fabulously overqualified talent, people who for one reason or another were willing and eager to do work they were overqualified to do, and that were strong contributors on your team. You can also share that you have hired overqualified people where it didn’t work out. Explain that you have experienced both sides and understand their concern. Dictionary.com definition: Discrimination against persons of a certain age group. Ageism is illegal according to the Age Discrimination in Employment Act of 1967, which protects individuals who are 40 years of age or older. No question. When an appropriately skilled candidate (not overqualified) with a current presentation, who happens to be over 40 years old, is consistently declined over younger equally skilled candidates, this is a sign of ageism. With this being said, you have to accept that ageism happens in the job market, and that you don’t have the ability to control it. But to be clear, accepting that ageism occurs does not mean you are condoning it. THE FIX: Focus on what you can control to empower yourself to win. You can impact how others perceive you by presenting a relevant skill set, a resume formatted with a modern layout, an up-to-date LinkedIn profile, and physical presentation, that communicates that you are a professional for today, not yesterday. In the past, it was acceptable for resumes to be not much more than a list of job titles, names of the companies you worked for, and your job responsibilities. Today, such resumes are the kiss of death. Your resume must focus on your achievements. Having your resume written in a contemporary, achievement-driven format can begin to dispel any notion that your skills and experiences are outdated. When responding to questions during your interviews, take the same achievement approach. Explain how your work helped to grow the business, reduce costs, create new products and services, and grow revenue. Here is another great idea: how did your work help advance the career of one of your peers or direct reports? I have created two resources, the Resume Cheat Sheet and the Linkedin Profile Cheat Sheet to help you present yourself to the market as the progressive leader you are.